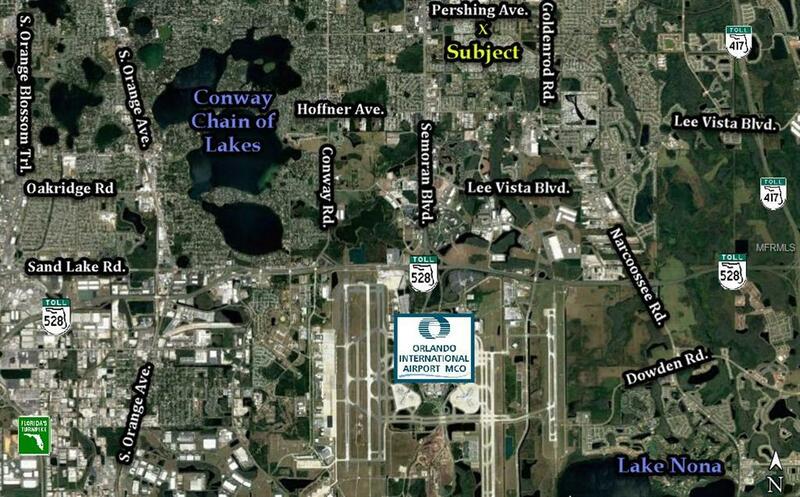 This 4.8+/- acre infill parcel centrally located less than three miles from Orlando MCO International Airport, six miles from Downtown Orlando, and seven miles from Lake Nona Medical City. 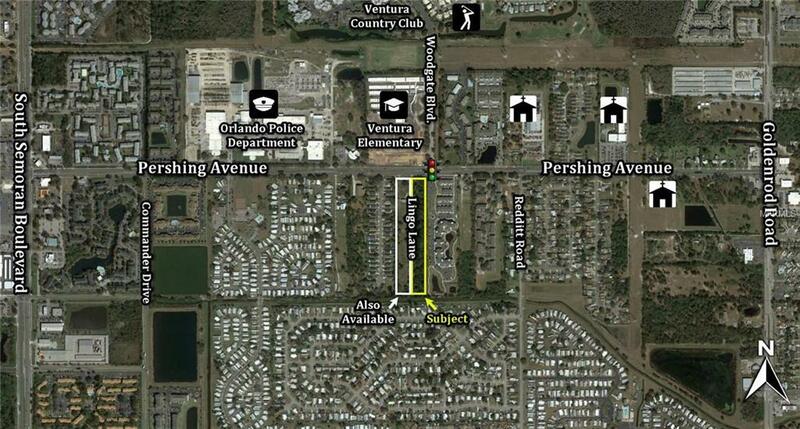 Directly across from the Ventura Country Club, City of Orlando Police Department, and the recently expanded Ventura Elementary School. 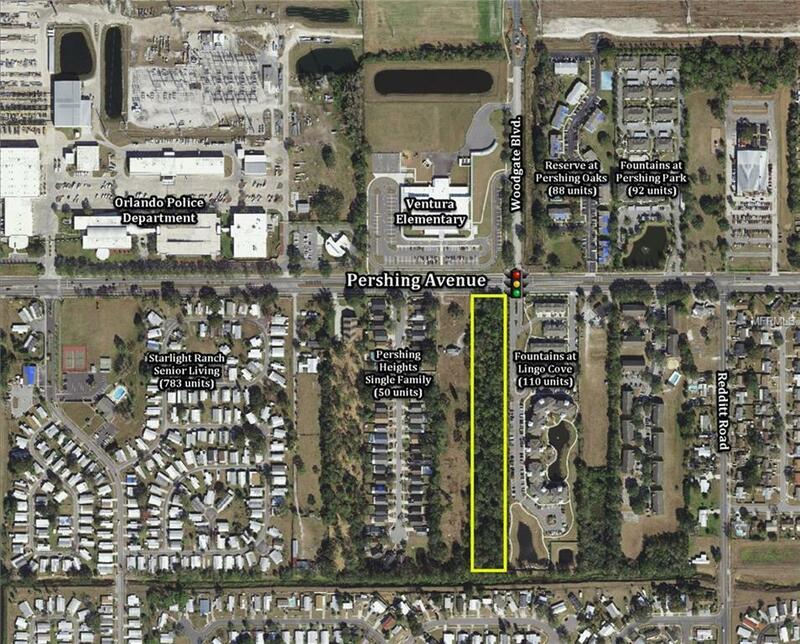 Parcel has 165+/- ft. of frontage directly on Pershing Avenue, adjacent to stoplight at Woodgate Blvd. R3-AN zoning within the City of Orlando allows up to 12 dwelling units per acre, time savings with zoning in place! Also available: 2810 Lingo Lane, a 3.94+/- acre parcel directly adjacent, which could co-utilize the future county road. Zoned PD within Orange County and fully approved for 20 single family home lots. Please see vacant land listing, MLS# O5716087.